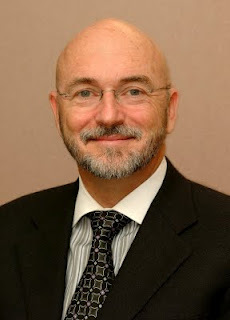 Dr. Frank Shelp, (pictured below) Commissioner of the Georgia Department of Behavioral Health and Development stepped down last month after three years overseeing a department overhaul. The new commissioner is Frank Berry, former CEO of View Point Health in Lawrenceville, Georgia. Shelp oversaw the overhaul of Central State Hospital in Milledgeville as well as the closing of other state mental health hospitals during his tenure. He was largely responsible for negotiating with the US Justice Department (“DOJ”) in 2009 regarding a settlement of civil rights claims related to the treatment of Georgia’s mental health patients in state facilities. The DOJ intervention came about largely due to a series of scathing articles in 2007 in the Atlanta Journal Constitution exposing 100 suspicious deaths of patients in Georgia mental hospitals over a five-year period. Incidents of neglect and abuse shocked the community. The DOJ intervention arose under the authority of a 1999 ruling of the US Supreme Court under the Americans with Disabilities Act that required all states to move individuals with mental illnesses out of ailing state hospitals and into community care settings. While Georgia’s mental health system remains problematic in some areas, one area of improvement has been moving the developmentally disabled into community homes. The Medicaid waiver system, which I have previously blogged about, encourages the disabled to leave long-term care environments for group or community home settings. The reduction of the disabled from in-patient mental health hospitals was one of Shelp’s bigger accomplishments. The new model called for government-supported housing, employment and wellness centers. These community-based facilities are linked to a statewide system of comprehensive mental health services. Georgia has traditionally ranked as one of the worst states for mental health care; it is now on track to be an industry leader in the transition away from the institutional model. However, the move to a community-based mental health care program is not without problems. The community-care model had to be built from scratch essentially. Still, with federal assistance through voucher programs and more community-supported facilities, the move appears to be in the right direction. Tagged: "Mental Health; Institutional Care; Americans with Disabilities Act"